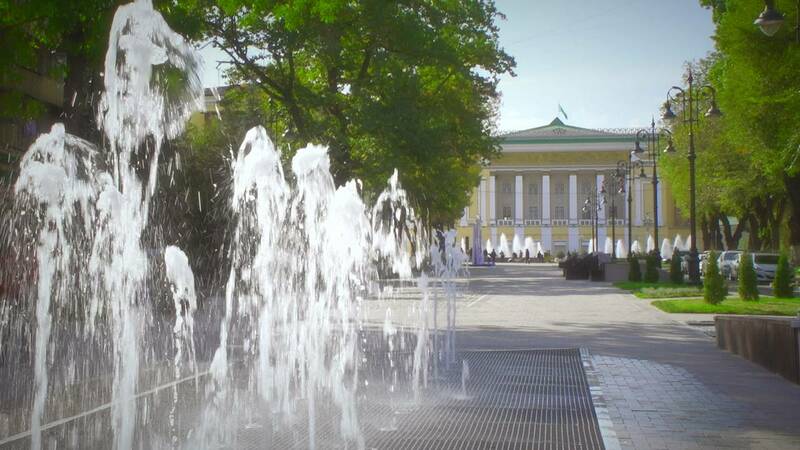 Our Postcard this week comes from Almaty city, where a large part of the historic centre has recently been given a revamp. With the help of a Danish urban designer, Jan Gehl, traffic has given way to new places where people can relax. Fountains, gardens, designer-benches and playgrounds have also appeared and facades have been spruced up. Zhanna Tulegenova, the CEO of the Almaty Development Centre, told Postcards: “Two things are important for the sustainable development of the city: strong business and people who are content, who can now go for a stroll, enjoy the evenings, play the guitar, for example. And it is also now more pleasant, for example, for local artists who traditionally sell their work in the street. The revamp is just one of many regeneration projects in the pipeline, in a city already known for its abundance of trees.